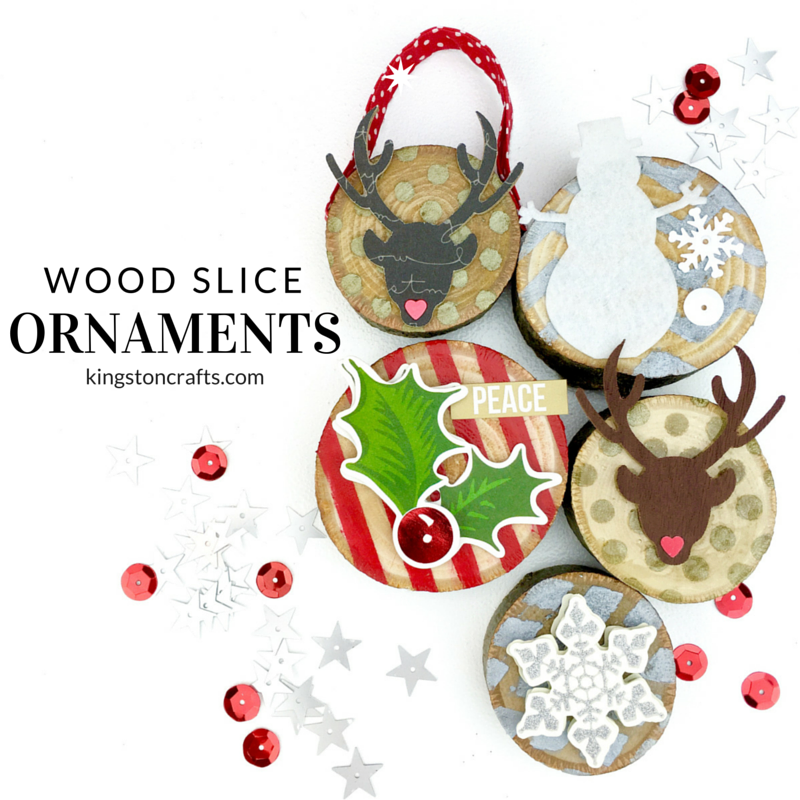 Learn how to turn some plain wood slices into some festive Christmas ornaments that will be perfect for your tree! 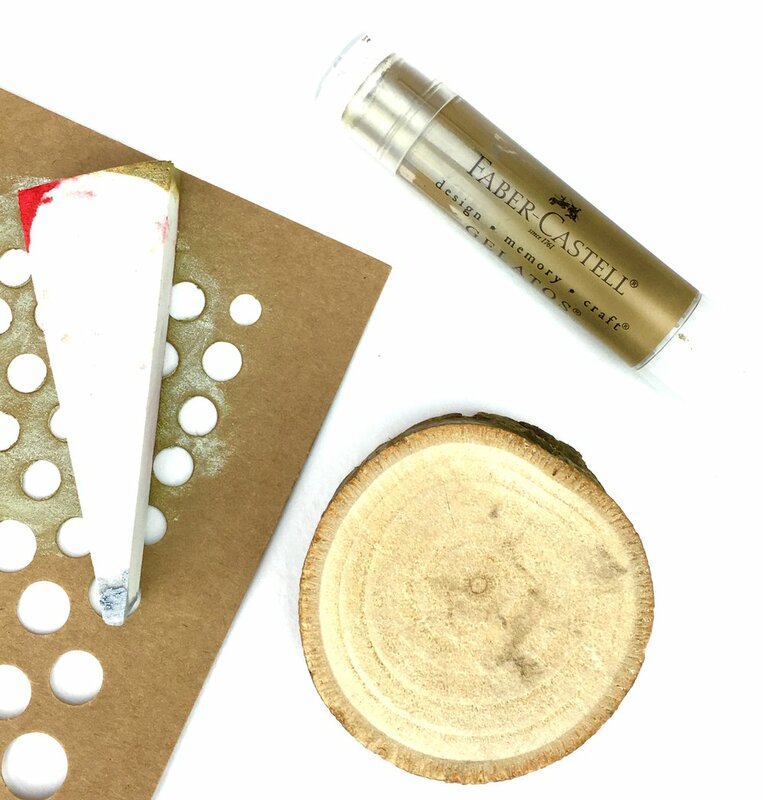 All week long Xyron and Design Memory Craft (Faber-Castell) are teaming up to share some gorgeous projects from their design teams…and I wanted to get in on the action! Let me be up front here – mixed media gives me anxiety. I WANT to make awesome art journals and canvases and I WANT to get my hands all messy and I WANT to try cool new techniques – but I have some sort of emotional issue that has made it a struggle. I once almost passed out in a class Dina Wakley was teaching because I just couldn’t deal. True story. It is a miracle she is still my friend. Lay stencil over wood slice. 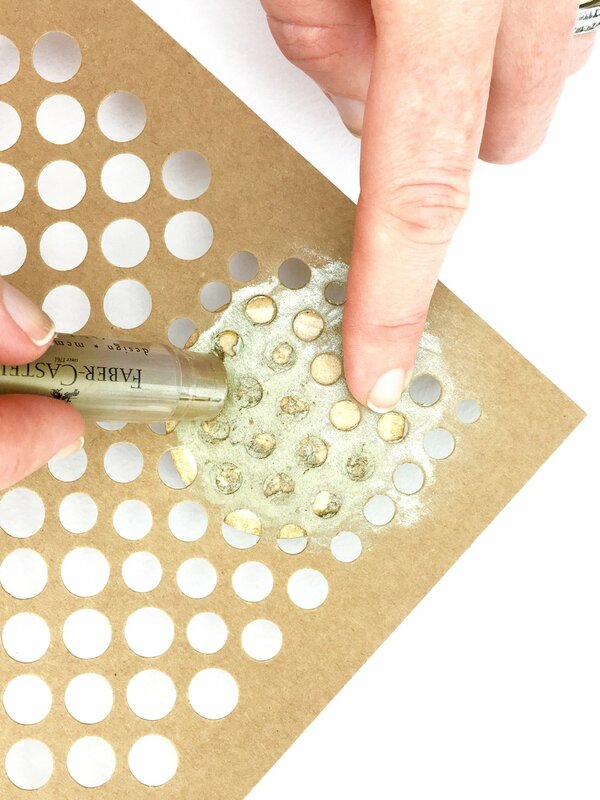 Use one hand to hold stencil in place and the other hand to apply gelato to the stencil pattern. 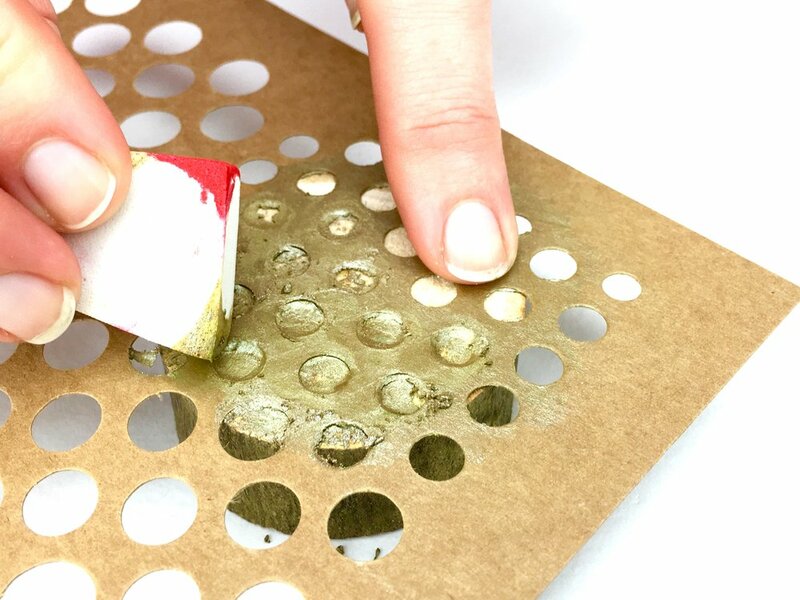 The gelato will NOT fill all of the holes, so use a foam sponge to spread the pigment throughout the pattern. 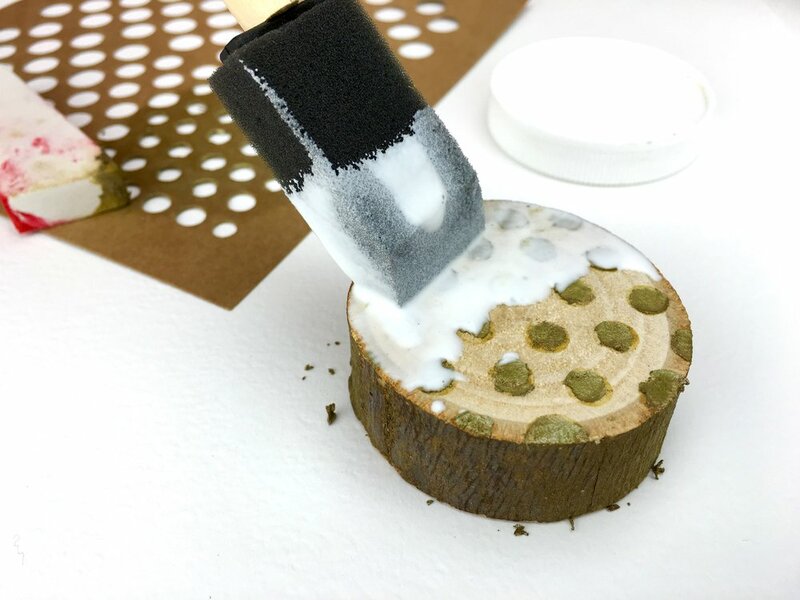 Use a foam brush to GENTLY cover the top of the wood slice with matte Mod Podge. 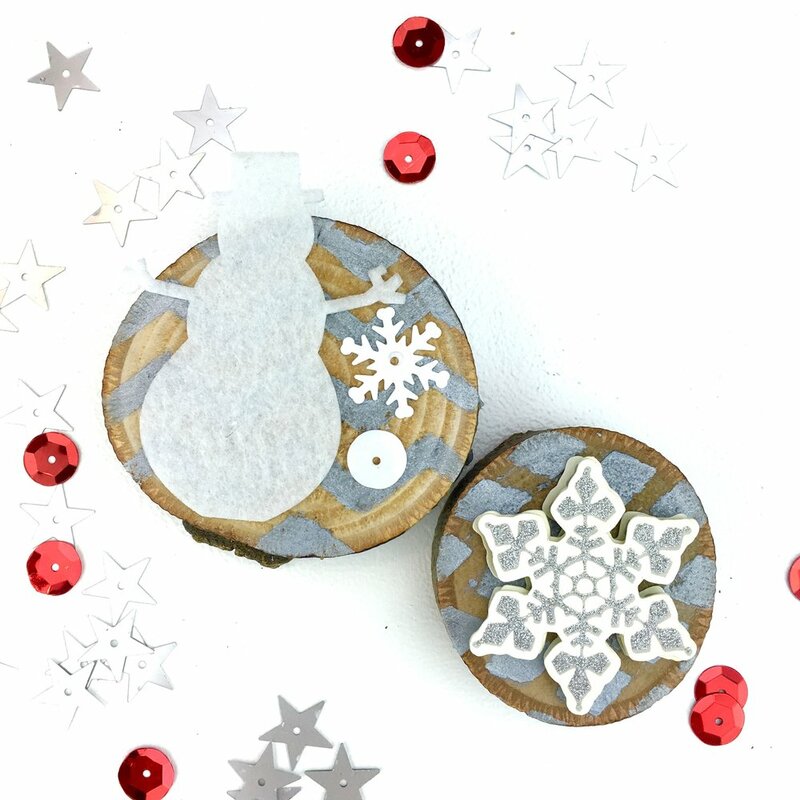 If you brush it on too roughly flakes of the pigment will come off and mix with the Mod Podge. Let dry. 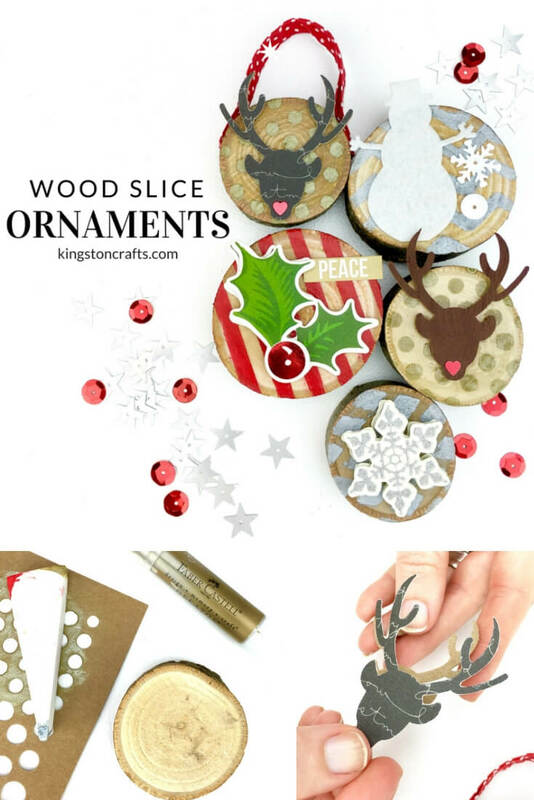 Nail or staple ribbon to the wood slice if desired to create a hanger. Adhere the embellishment to the wood slice…and voila! 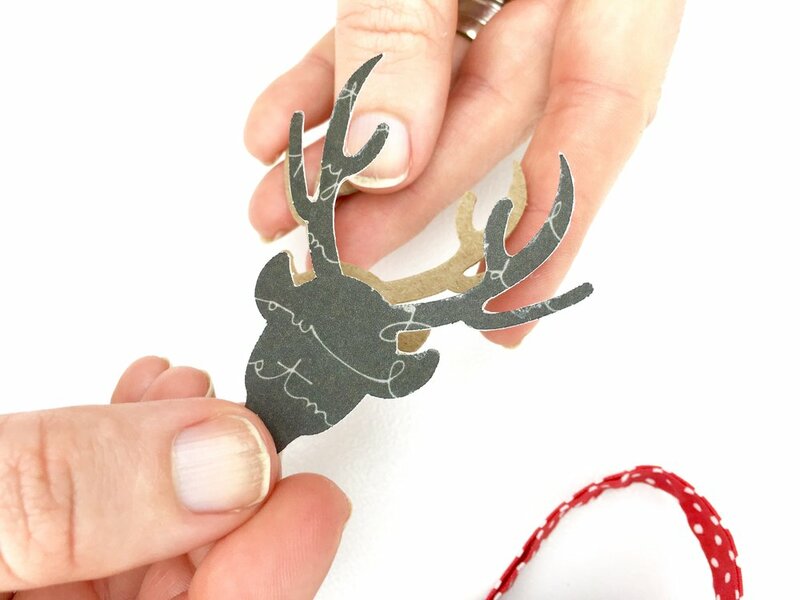 Fun and funky Christmas ornaments made in just a few minutes using some COOL new techniques! *Looking for a glossier finish? The ornament on the left was covered with Diamond Glaze and then set aside to dry (for several hours). That deer head? Same image cut from the Cricut Explore…in their new FAUX LEATHER. Yeeeeessssssss. The holly berries above and the snowflake below? 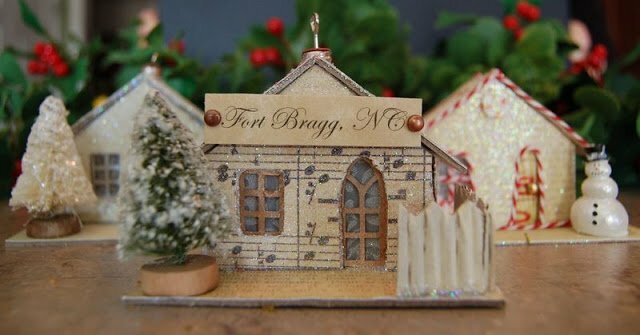 Those are leftover embellishments from some 500 year old Anna Griffin Christmas Card Kits. 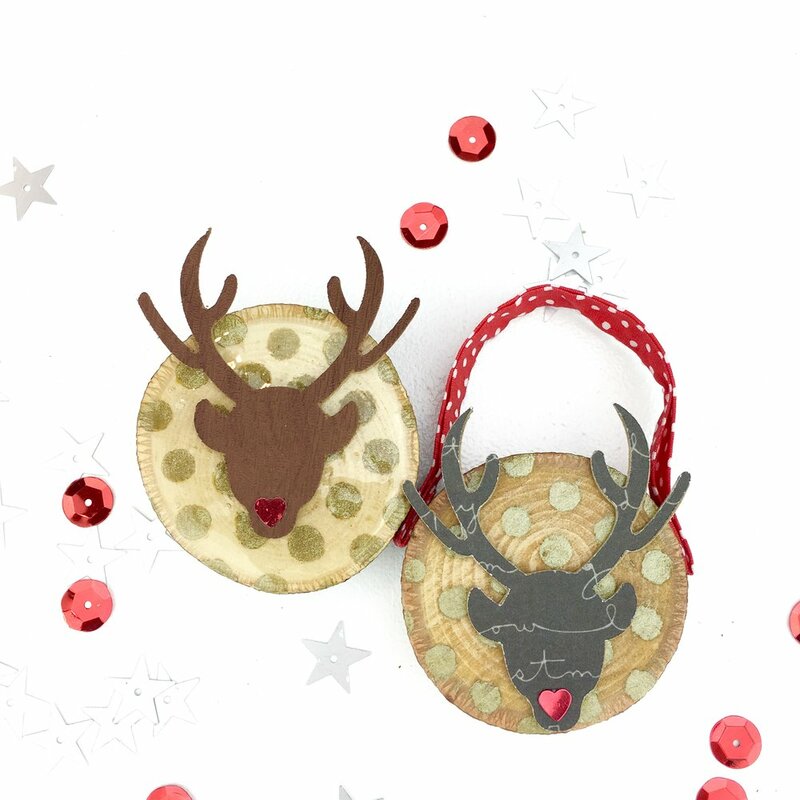 I’d been holding on to them FOREVER – and they look so stinkin’ cute on these ornaments! 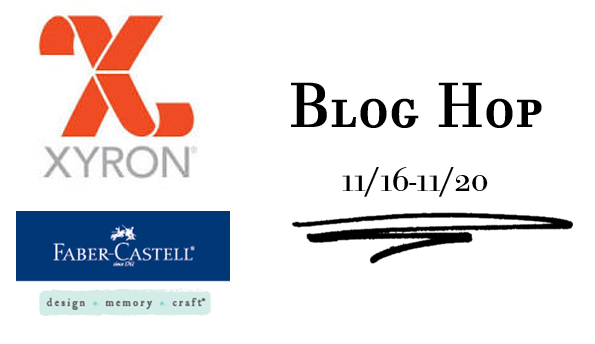 Don’t forget to tune in to the Xyron Facebook Page and Design Memory Craft blog all week long…you are going to be inspired! 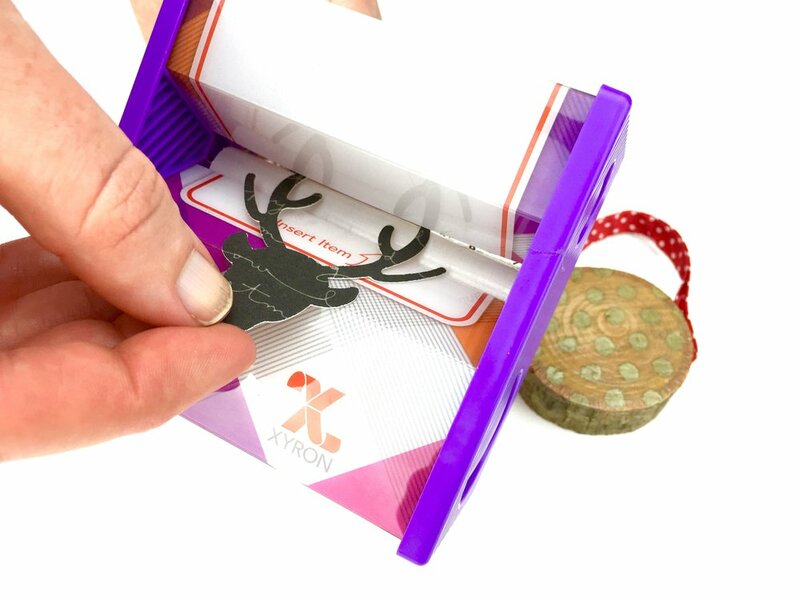 Check out these other fun holiday projects using your Xyron tools! A little out of my comfort range but willing to try. LOL! Wow, I am impressed! So proud of you, great idea. Wow! 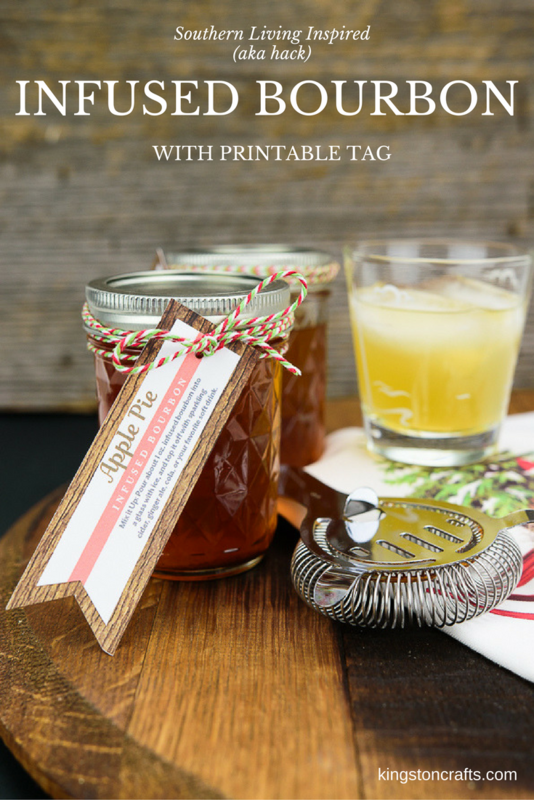 Simple enought to replicate for other crafts throughout the year… can’t wait to try these Gelatos! Hahaha… Auto Correct! It’s Ghadeer! Oh my goodness! This is right up my alley! 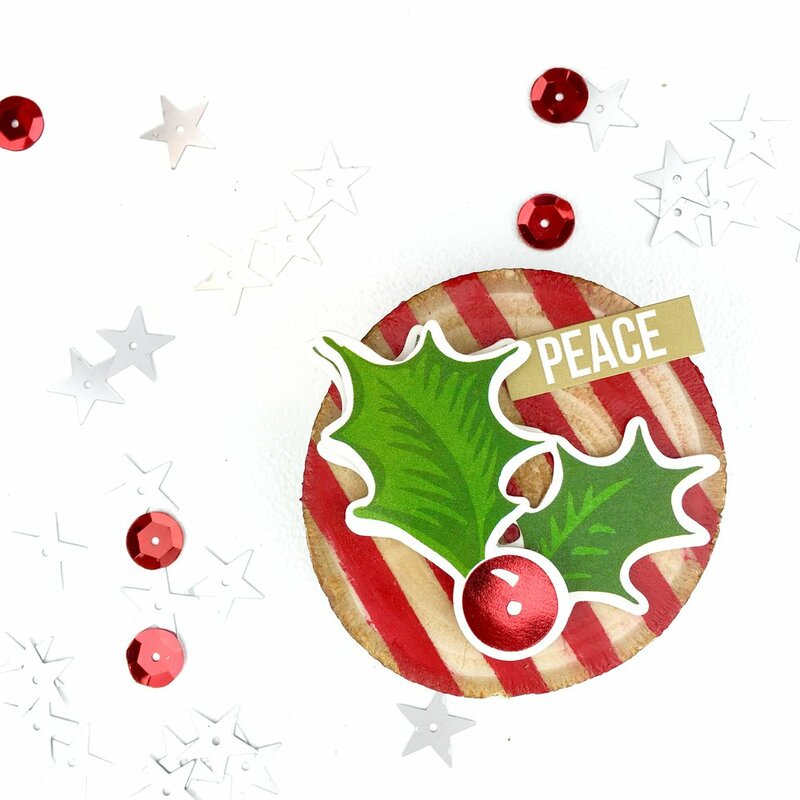 I have been making mixed media ornaments using wood tags. I love these. They would be perfect on any tree! These are so cute! 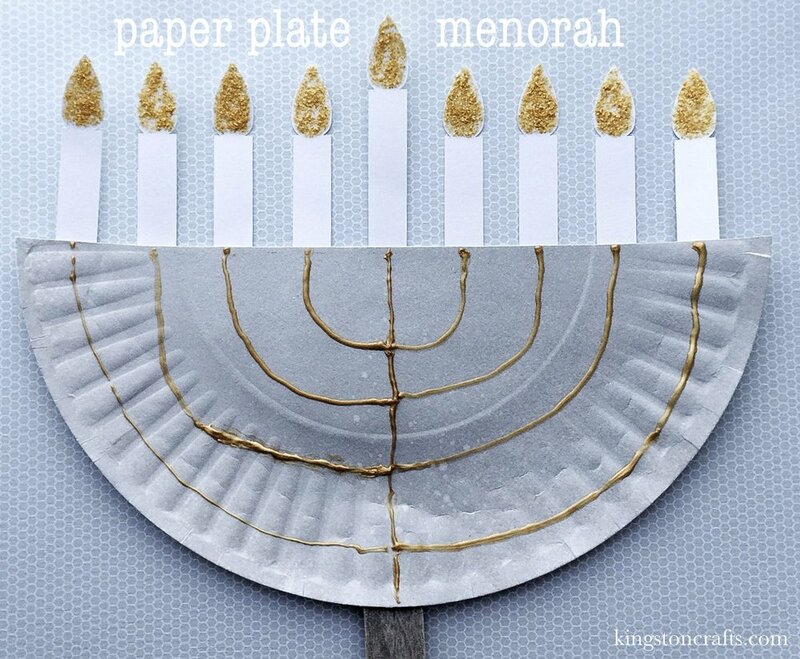 I just love the possibilities, and this is definitely a project you could work kids into too!